The Continental Divide National Scenic Trail runs the length of the United States from the border of Mexico north to Canada. Most of this route follows the official Continental Divide line along the Rocky Mountains: Montana, Idaho, and Wyoming in the north to Colorado and New Mexico in the south. Approximately 2000 miles of this route are accessible to the public, according to the National Park Service. It remains one of the least attempted trails by thru-hikers because of its remote, rugged conditions and many sections are completely inaccessibile throughout the winter and spring. An estimated one-third of the route is not yet completed but these segments can be bypassed by walking along roads or following other trails. 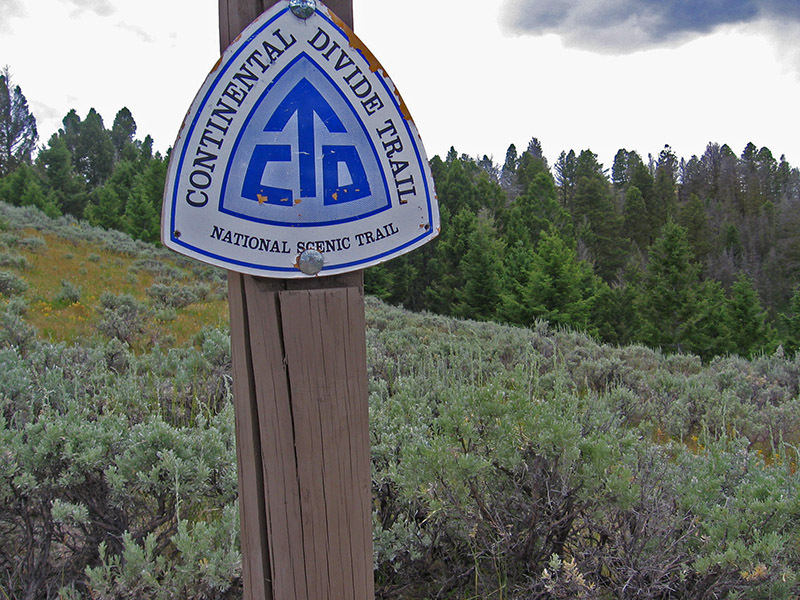 The Continental Divide Trail is part of the “Triple Crown” for long distance hikers — joining the Appalachian and Pacific Crest Trails. An estimated 50 people a year attempt to finish the entire trail straight through, which can take more than six months.